Our first introduction to Avebury came in 1977 via Children’s Television. At the time we probably scarcely realised that the fictional village of Milbury conveniently situated within a pre-historic Megalithic Stone Circle for the cunning plot of, ‘Children of the Stones’ was based largely upon fact. In this superlative piece of Seventies Tee Vee an astrophysicist, Professor Brake, and his teenage son, Matthew, arrive in the spooky village of Milbury in order to undertake a three month long study of the stones. Even before their arrival proper the high weirdness begins when they are seemingly about to crash into a Sarsen stone which then apparently ‘morphs’ into their housekeeper for the research stint, Mrs Crabtree! Would you be happy about such a woman cooking and keeping for you? Other strange events begin to take place as the pair of newcomers’ settle into their temporary home. For one thing the village appears to be divided into ‘Happy Ones’ and ‘Others’. Then there is the Village Elder, Kendrick, erstwhile astronomer extraordinaire and discoverer of a super nova which now bears his name, who displays an uncanny knack of appearing at the drop of a hat and also shows an unhealthy interest in a painting which Matthew has acquired from a junk shop. We shall say no more lest perchance one would care to check out the series oneself which is available these days on DVD. 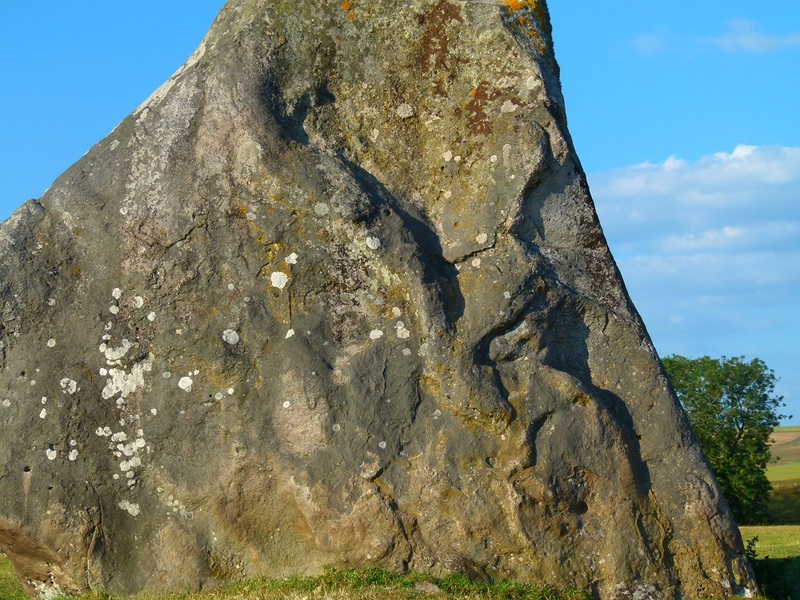 Indeed, we mention this only by way of introduction to our planned ‘solstice’ event at Avebury and also, it is rather strange to say in order to relate our first visit to the site some thirty years later. We were by then cognisant of the fact that Milbury was Avebury the name clearly taken from the nearby Mound of Silbury. Having parked up in the car-park alongside the book shop we were heading up towards the circle of stones when a heavy and virulent deluge of rain descended. Whilst attempting to keep as dry as possible during the downpour we darted under a tree, holding our jacket over our head, and bumped into what we assumed to be a local lad. “Just waiting for us to get the tent up,” beamed the lad showing no concern about his unprotected and by now already sodden state. “Just driving the last peg into the ground, I was,” the lad continued, “then whoosh…” he laughed and embraced the heavy rain with an open armed gesture of acceptance and another beaming smile. 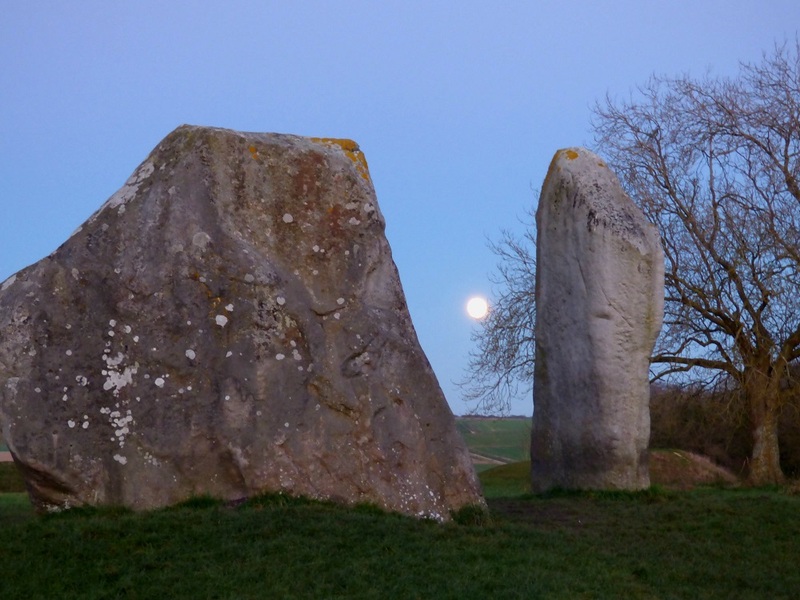 Click the link to learn how you can join us for a weekend exploring Avebury and the mysterious landscape of Wiltshire. See our Events page for other upcoming weekends and workshops.